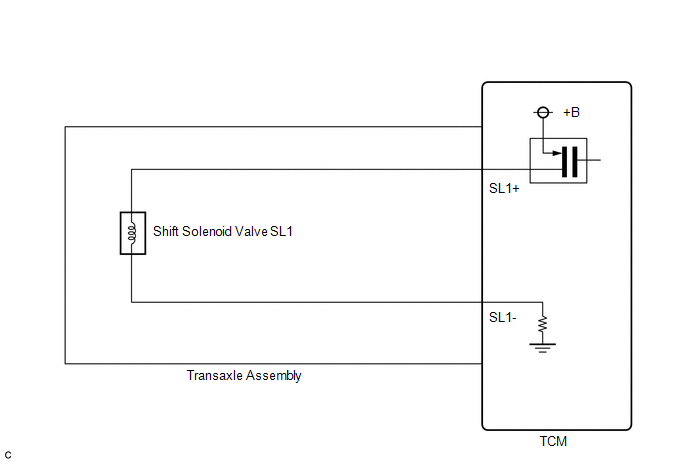 Output signal duty equals 100%. 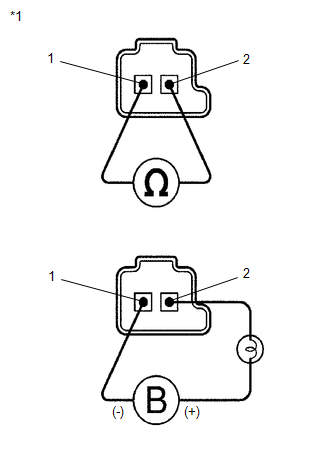 While driving and shifting between 4th and 5th gears, if the TCM detects an open or short in the shift solenoid valve SL1 circuit, the TCM determines there is a malfunction (See page ). 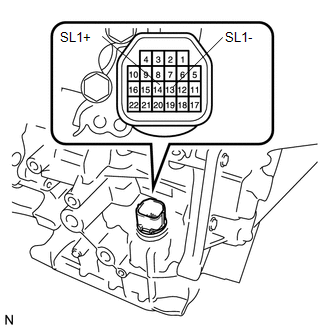 (a) Remove shift solenoid valve SL1.